Lighthouse Home Services is a local fire, water damage restoration and mold remediation contractor. No job is too big or small. We provide the same level of service whether we are serving a private homeowner or a large hospital. 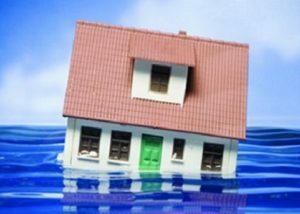 We are a full service restoration company that handles 100% of the issues resulting from your fire, flood or mold contamination. We do it all, starting with carefully packing and storing your personal effects, to safely removing damaged materials and reconstructing your structures interior and/or exterior. You can trust that we will deliver the quality workmanship required to restore your property to it pre-disaster condition. Ariana handles everything from operations management and system implementation to marketing and networking. Ariana is educated in Indoor Air Quality, Vortex Drying Systems, and Business Management. Matt's expertise is water damage restoration. He is the first one to the scene when disaster strikes, even during the earliest hours of the morning.